Baskets are a simple and affordable accessory that can give a more updated look to almost any room in your home and here are 3 great examples to help get you started updating your look. While it's hard to say how old the art of basketry is, it's presence spreads across the globe and has been found among countless different civilizations. 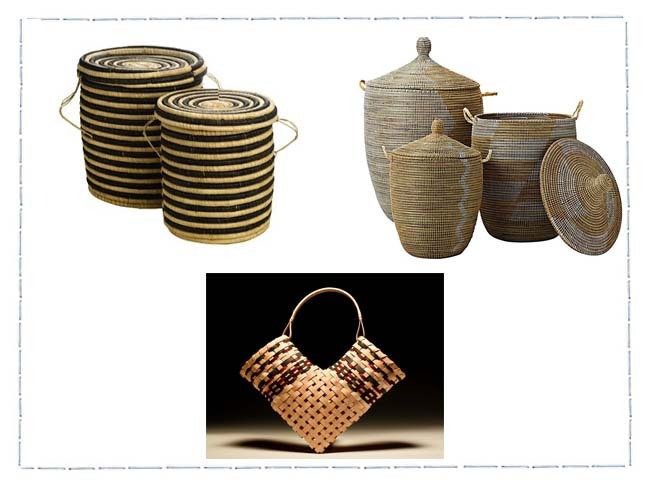 Some of the oldest known examples of baskets have even been carbon dated to being 10,000 or 12,000 years old, so the idea of including them in your own home today just seems to be a natural! 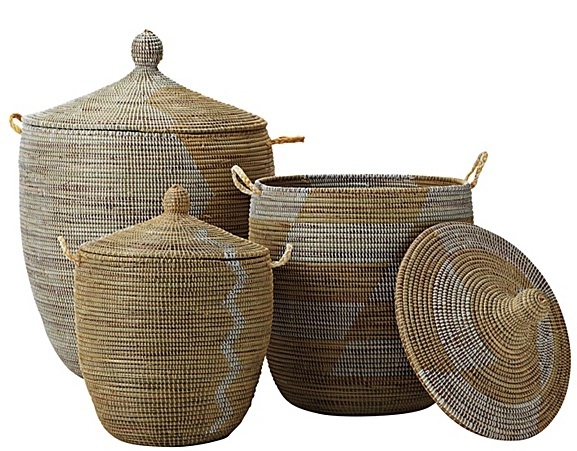 You can feel great about purchasing these gorgeous Lidded Nsei baskets, especially since they are handcrafted within the Fair Trade market and provide important income to the Cameroon in West Africa. 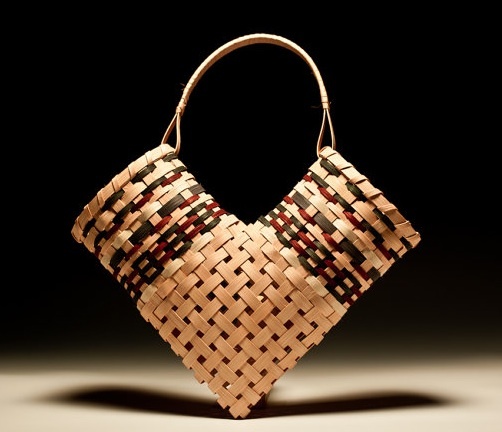 This unique "elbow" basket is the work of basket artisan, Billie Ruth Sudduth, and are made at her home in the mountains of North Carolina and can be purchased at her Etsy shop called JABOBS (Just a Bunch of Baskets). This basket would look great on it's own or hanging on the wall in your kitchen with dried herbs or flowers flowing out both sides. 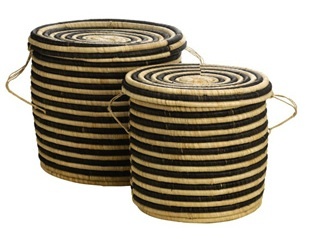 This set of handcrafted Senegalese Storage baskets is well priced and it's fibers are woven in a unique zigzag pattern that will insure that no two baskets will ever be exactly alike. And if you don't really need the full set, some pieces can also be purchased separately which is a nice option too.